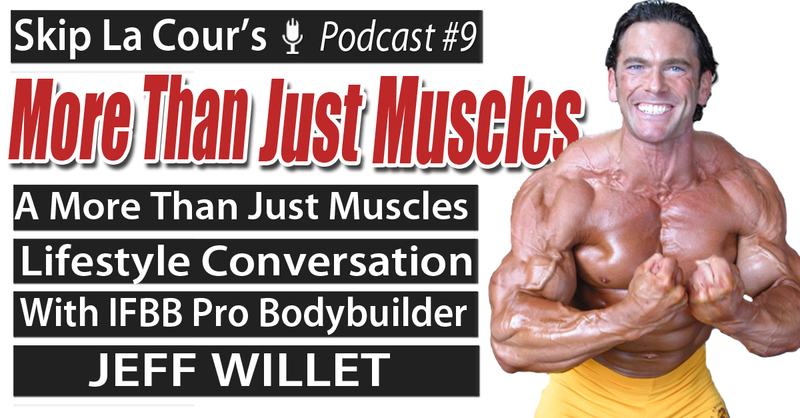 IFBB Professional Bodybuilder Jeff Willet joins Skip La Cour during this week’s More Than Just Muscles podcast for an up-close-and-personal interview. Jeff openly shares his journey adjusting to “normal” life after completely dedicating his time, energy, and focus to bodybuilding from the age of 16 to 32. The Powerhouse Gym owner from Adrian, Michigan talks about his most memorable moments as a bodybuilder and what the pursuit of his dreams taught him about life. Willet also reveals the challenges that came along with his drive and dedication to build such an amazing physique.